Unless an (unlikely) miracle occurs, when tomorrow’s edition of The Cambodia Daily rolls off the printing press it will be the end of a tradition. Presented with a $6.3 million tax bill at the beginning of last month, the 24-year-old publication will close; and with it a big chunk of modern-day Cambodia journalism history. Media expert Pa Nguon Teang told the Hello VOA program on Thursday that the government’s moves to restrict independent media outlets and NGOs would undermine the democratic process in Cambodia. 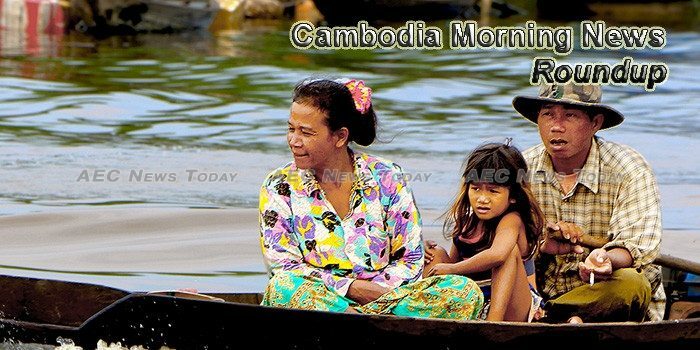 One of Cambodia’s most stridently independent newspapers, The Cambodia Daily, published its last edition on Monday with the headline “Descent Into Outright Dictatorship” as it closed amid a crackdown on critics of Prime Minister Hun Sen.
Cambodian authorities have been accused of orchestrating a crackdown on critics of prime minister Hun Sen’s government after a prominent opposition leader was arrested and an independent newspaper closed down. Cambodian Youth Party (CYP) President Pich Sros labelled activist monk But Buntenh a “liar” during a nearly two-hour rant over accusations that Sros laundered money raised for the late Kem Ley’s funeral stupa. Mobile food and beverage carts are doing brisk business, filling gaps in the country’s crowded matrix of restaurants and cafés, and competing on price and convenience. US-based coffee giant Starbucks first entered the Cambodian market in 2015 with a small kiosk in Phnom Penh’s airport terminal. Since then it has expanded in the capital, while opening its first branch in Siem Reap last month. It has already been one year since Japanese airline All Nippon Airways (ANA) started daily flights between Tokyo Narita airport in Japan and Phnom Penh through its Star Alliance carrier, and the company says it is committed to expanding its services in the Kingdom in the future. Cambodia is among the most vulnerable countries in Asia when it comes to viruses, spam, spyware and other cyberthreats, according to a recent report from Microsoft. When two scions of the ruling Cambodian People’s Party (CPP) elite wed in June, they posted a series of videos on YouTube and Facebook celebrating their union — and their wealth.